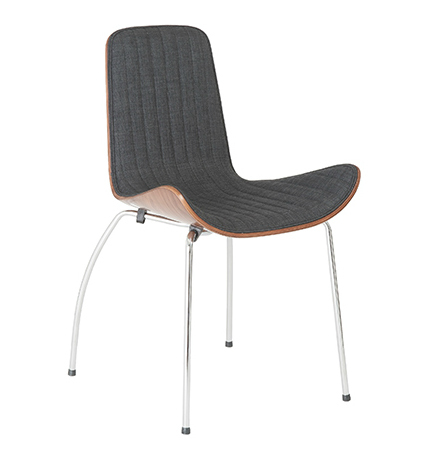 The Curt Side Chair is a smart choice for your dining room. 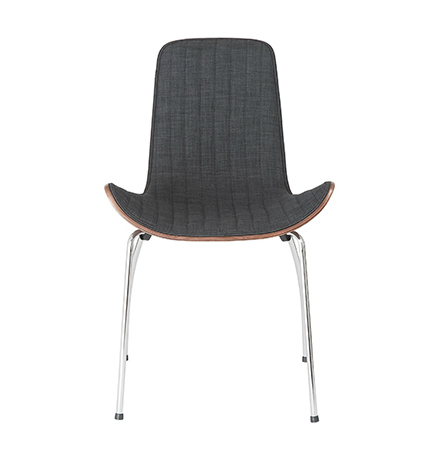 With a sturdy chromed steel base this dining chair is the ultimate combination of comfort and contemporary design. 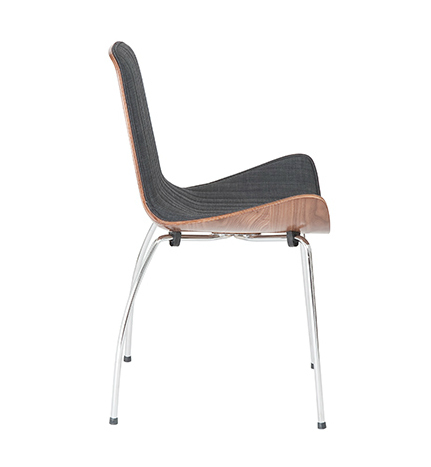 The Curt Side Chair has a high quality walnut veneer frame and a cozy upholstered fabric seat. -- Please Choose an Option --	21.5"W x 22"D x 34"H: Seat H- 18.5"